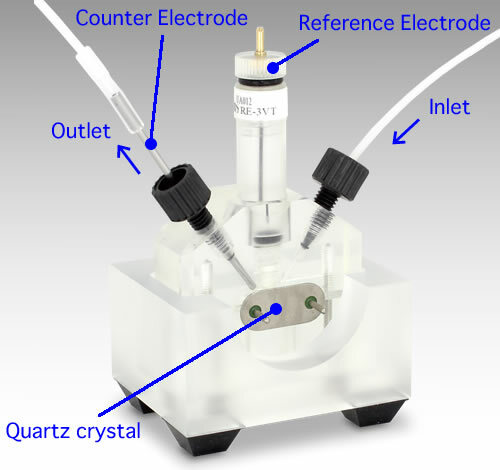 The quartz crystal microbalance (QCM) technique under electrochemical frequency, analysis of electrode can be measured by the gold quartz crystal electrode. This technique is very useful to determine many compounds such as metal proteins, metal ions and thiol-conjugated oligonucleotides. 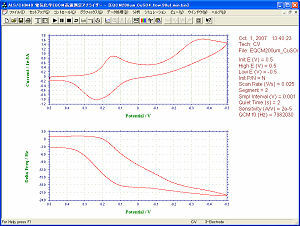 The construction for EQCMT flow cell is simple. The gold quartz crystal electrode is sandwiched between two blocks as shown below. The two blocks of the EQCMT Flow cell are constructed using PEEK. 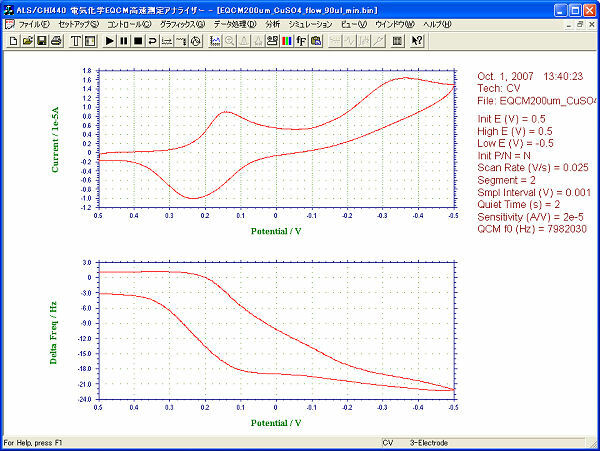 It gives a high resistivity for chemical compounds.As well as QCM, these cell is reversible. With a inverted position of the blocks, it is possible to change from flow to static measurement. The cyclic voltammogram, at 25 mV/sec vs. Ag/AgCl, of the 0.2 mM Copper Sulfate solution using EQCMT flow cell, and the simultaneously QCM measurement, are shown in Figure 2A (Flow system) and Figure 2B (Static system).